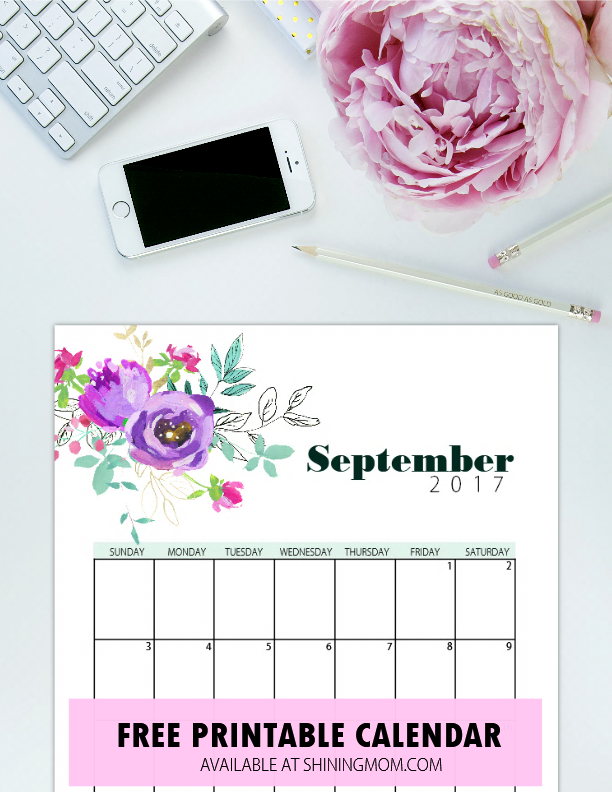 Free Printable September 2017 Calendar: 12 Beautiful Designs! It’s time to write your plans for the month of September! 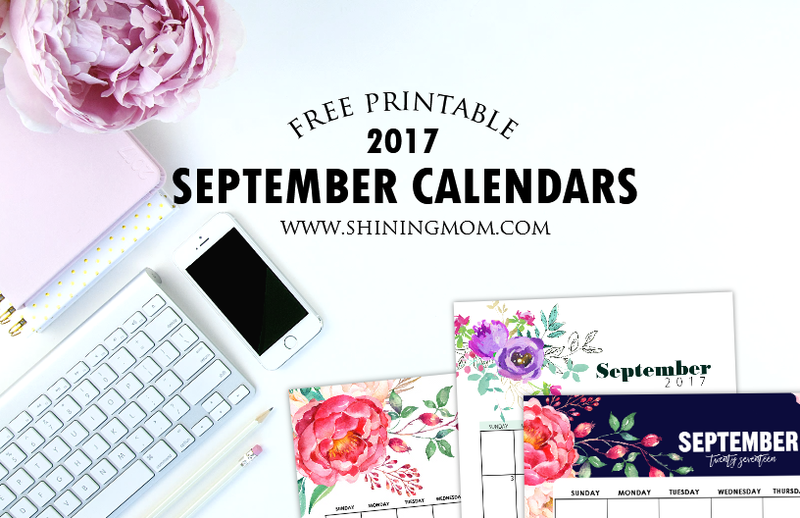 Once again, here are Shining Mom’s free printable September 2017 calendar copies to print outright. Browse through to enjoy these beautifully designed planners. Enjoy your free calendar shopping again! Excited? Let’s jump in! 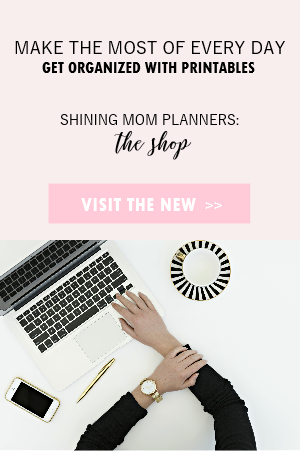 If your new to Shining Mom blog, you might not know that I actually release monthly calendars and planners on the blog. 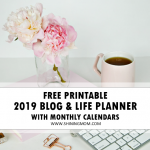 I hope you bookmark this blog as your go-to site for your printable needs. 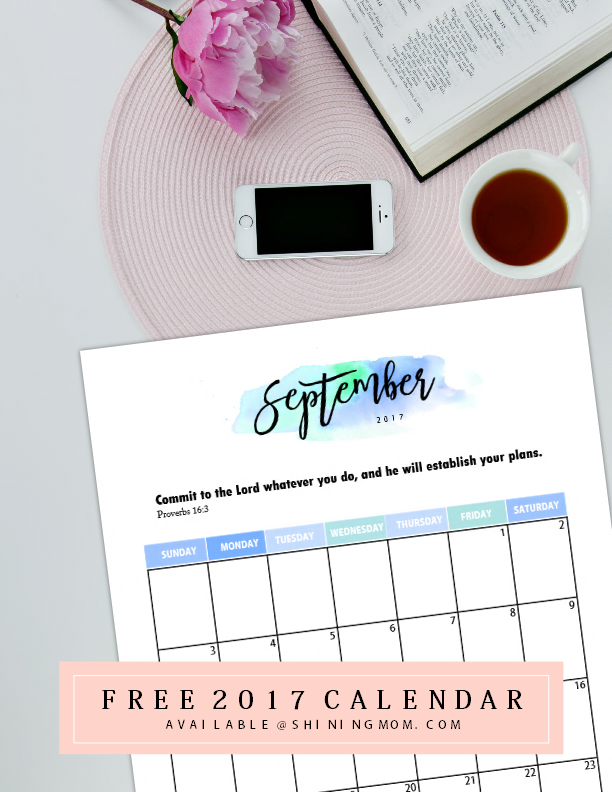 Aside from this free printable September 2017 calendar, I have already shared hundreds of free organizers on the blog and I hope you can find time to enjoy them. My goal is to be able to inspire readers like you to get organized without feeling overwhelmed! I hope it touches you that way! The first calendar that I am going to show you is my favorite from this set. Loving anything floral? You might be delighted to see this oh-so-pretty calendar design. It comes in darling pops of mint, purple and powder blue. I love that this particular style comes sweet and refreshing. How do you find it? Will you agree if I say that this September calendar is a must-print from this set? Calling all moms and dads with school kids! If you’re looking for a printable calendar to include in your kid’s school binder, I am pretty sure you’ll find this next calendar useful. Aside from the cute fish design element you see here, what’s really nice about this September calendar is that there’s a special room allotted for your kids to make it their own. 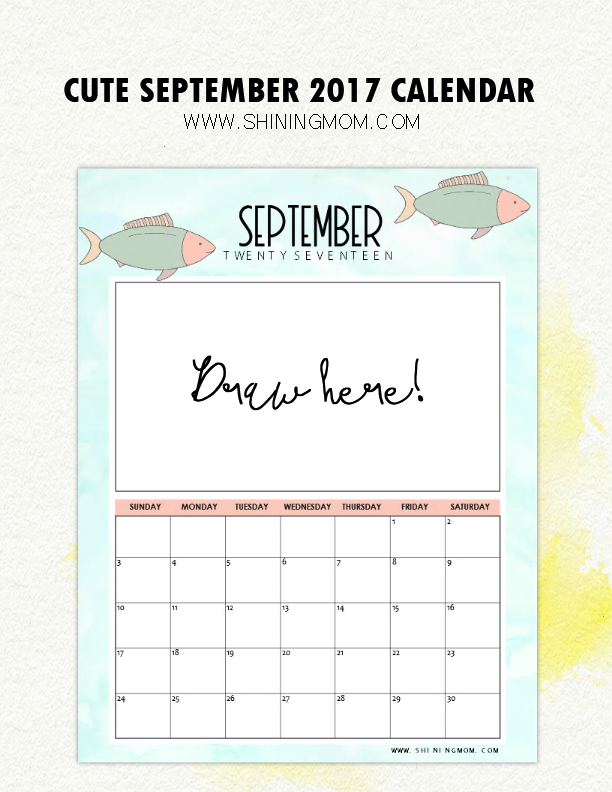 Have your little ones personalize this September 2017 calendar by adding their drawings in the space provided for. They may also just opt to add pictures or other clippings in that empty box! And for the teachers, this is definitely a cute piece to pin onto your classroom bulletin board. You may even assign an “artist for the month” to draw anything meaningful and inspiring for the whole class to see! Wahooo! When you’re very busy at work, you surely would yearn to look at something that would refresh you in the midst of the day. 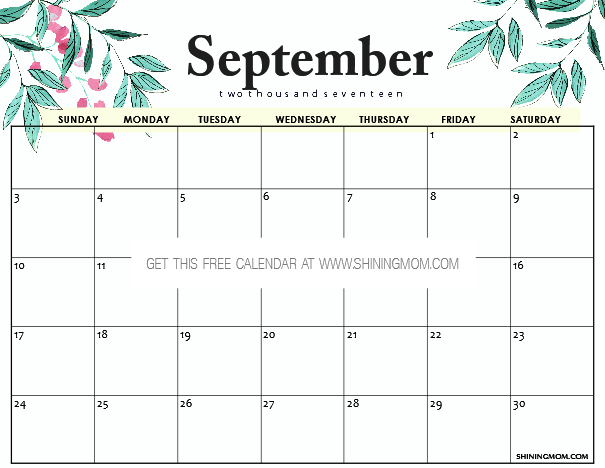 How about using this printable calendar with swaying leaves? 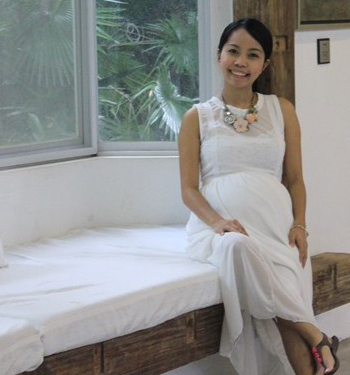 Will planning your hectic month be somehow easy-breezy with it? 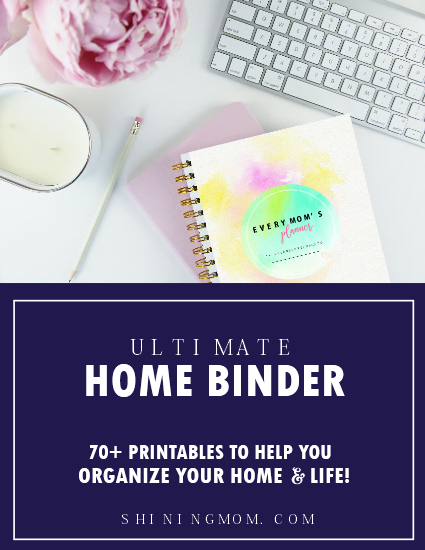 And oh, if you’re a mom, I think you’ll love to see my Ultimate Household Binder for mommas. 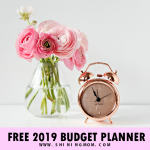 It’s loaded with over 70 planning pages to help you mange your work, home and finances. See it for yourself! 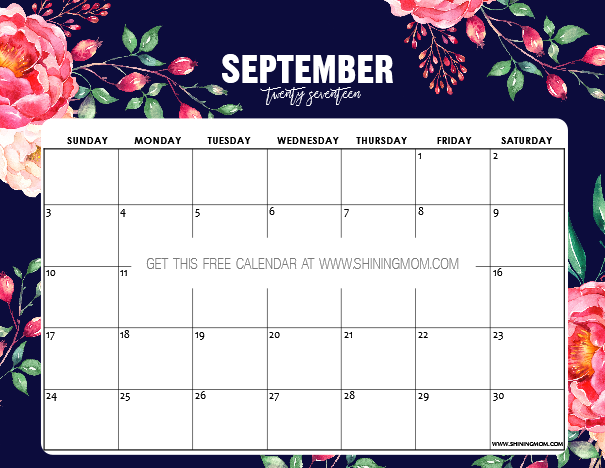 If you’re scouring the net looking for a printable September calendar that’s ultra feminine, you might actually fall in love with the next calendar design that I have for you. Look at that floral background. It’s gorgeous, isn’t it? 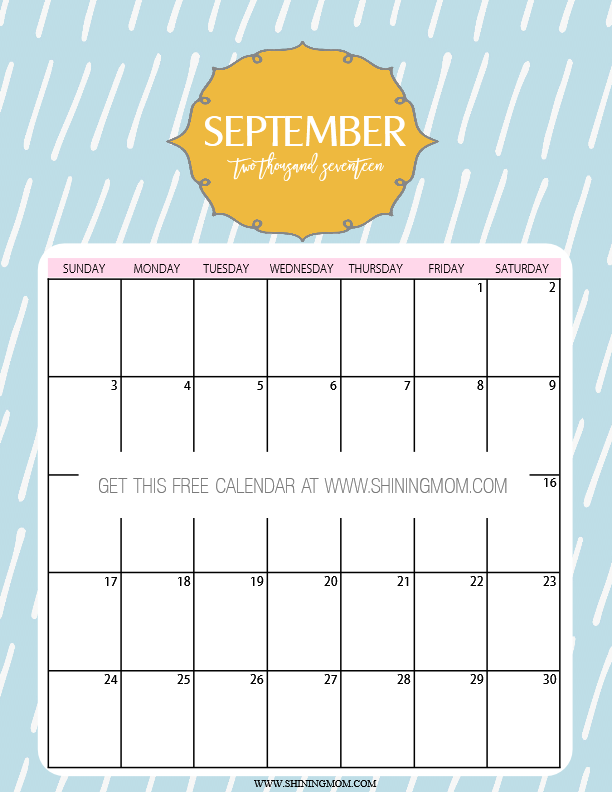 You can definitely print this calendar for free to organize your work and housekeeping schedules! 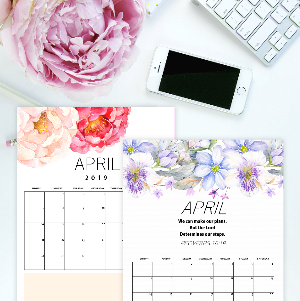 And oh, this also makes a beautiful calendar planner for the brides-to-be, do you agree? A shout out to Angie Makes from Creative Market for the art work! This next calendar design is another pretty number. Print out you copy and enjoy the refreshing vibe of mint and gold! While you can use this in any of your calendaring needs, I think it makes the perfect calendar to organize your kitchen life! How about using this calendar as a meal planner? 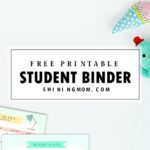 Speaking of meal planners, I have previously shared an ultimate binder HERE which you can also enjoy for free! September born? 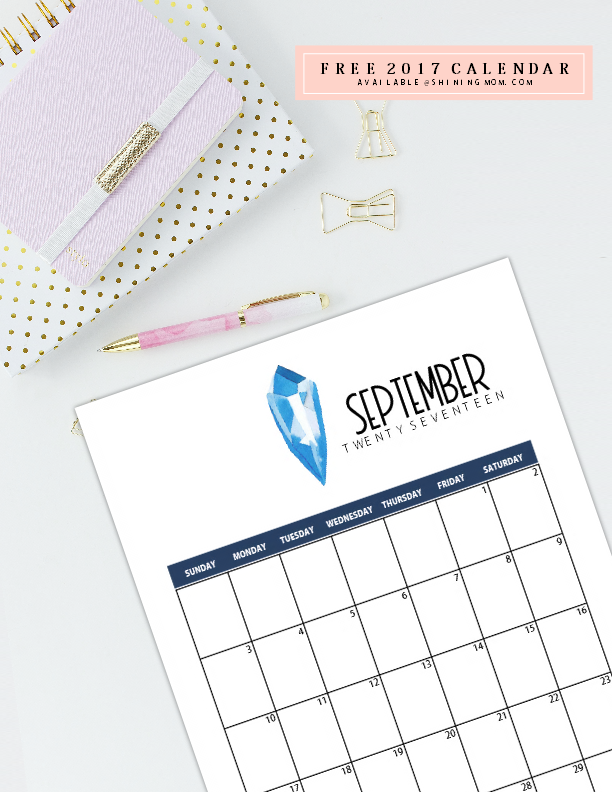 How about using a calendar design for this month bearing your birthstone, sapphire? This unique calendar design is so charming in it’s simplicity! I’d like to call this one as your lucky calendar for the month. Enjoy this printable copy! Here’s another calendar design created with the kids in mind. If you’re looking for a cute style to print for your kids, I highly recommend this one. It has a col stripey background with a fun frame. 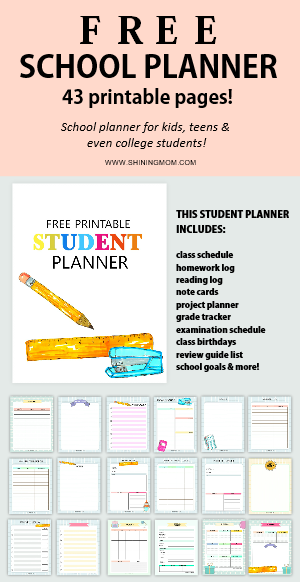 This makes a great calendar planner for the kids to write down their daily activities in school or even their chores at home! 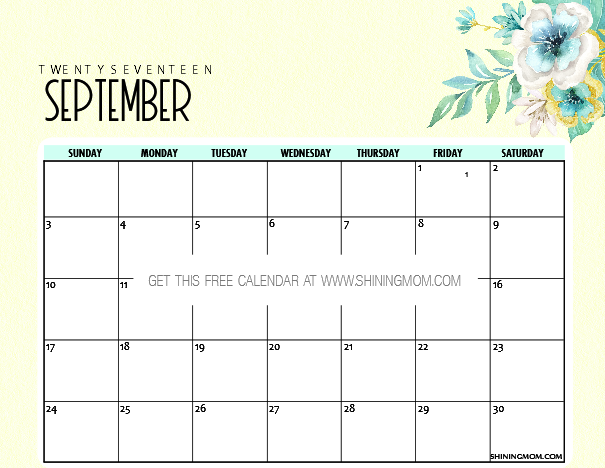 If you’ve been around Shining Mom blog for a while, you know for sure that I am going to include a free printable September 2017 edition of this calendar. That bold floral background is just beautiful, isn’t it? You can definitely use this piece to prettify a space! How about displaying this calendar on your coffee table? Won’t it make planning while sipping in your favorite cup be blissful? “Commit to the Lord whatever you do, and he will establish your plans.” Such a powerful and inspiring verse from Proverbs 2:16! This can definitely serve as your going light as you plan a successful month ahead. Simply commit your plans to the Lord and you will be guided! 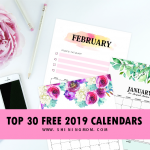 Would you like to see more calendars with calendar verses in my next post? Let me know in the Comments, Okay? And finally, here goes the last calendar calendar preview in the list! 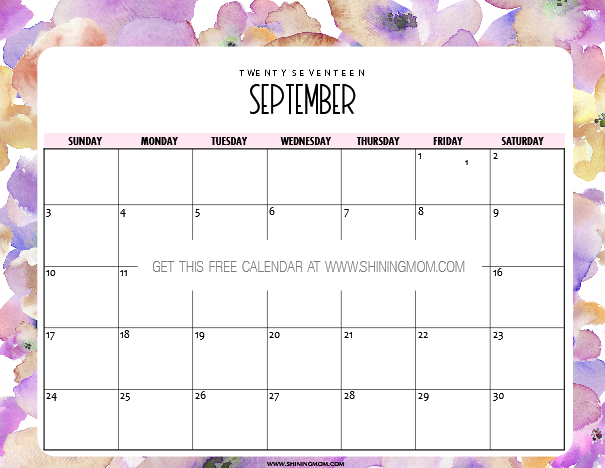 This free printable September 2017 calendar is another pretty one, do you agree? Print it out to organize your schedules at work and home. You may also display it anywhere you like! A shout out to DesignCuts and Creative Market for the designers toolkit used in this post! How I love these sites. They make a designer’s life waaay easier! 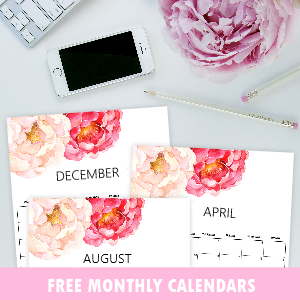 Snag your free calendar copies. There are two sets to enjoy to ease your printing. The first ones come in portrait format while the other one cones in landscape. The calendars are HERE and HERE. 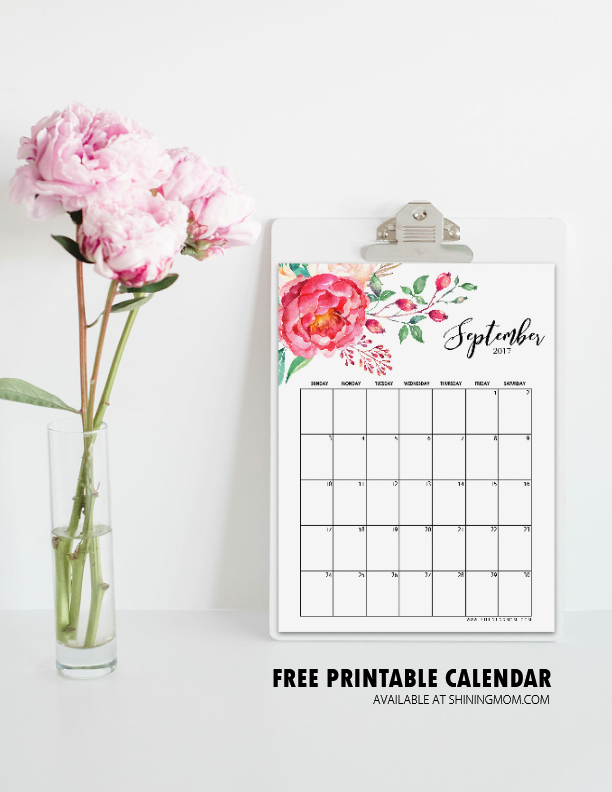 Decide which calendar designs you wish to print. There are 12 calendars all in all. Feel free to print more than what you need as it’s absolutely Okay with me if you’re giving away copies to your colleagues or friends. Note that they are all designed to be printed in 8.5×11 paper in borderless format. Plan the month ahead and enjoy the calendars! 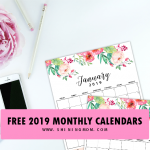 To be sure you’ll not miss any Shining Mom freebie again, how about signing up for my newsletter? You’ll join my happy subscribers who get instant access and notices to my newest printable releases! Love this post? Be sure to share it on Pinterest? Have a wonderful day! Enjoy your ‘stay’ at Shining Mom! I love that you’re here! 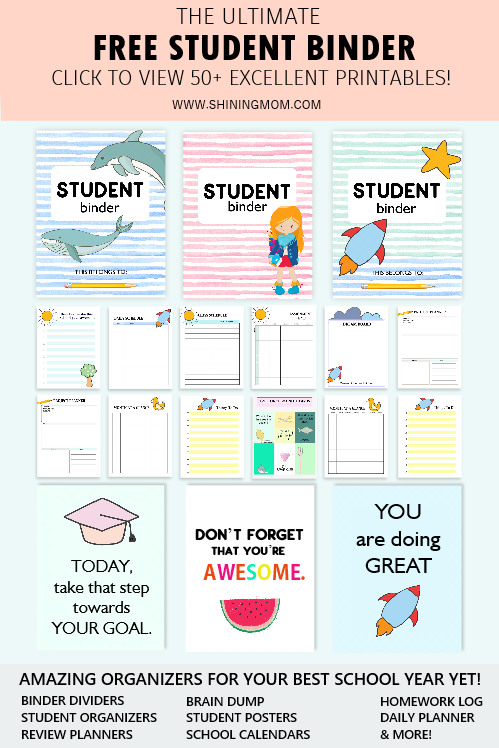 « Free Printable Lunchbox Notes: 30+ Amazing Designs! Hi, Jas! I’ve just double checked the links and their working perfectly on my end. keep the verses coming!!! ty! Thanks for letting me know. More to come! I love that you added a verse to the calendar. I print your calendar for each month and it goes into the outside cover of work binder. I get so many compliments on your calendars. Last year I also started hanging them on my fridge. My very fav is the last one in the multi pink flower on the top left of the page. It is happy and calming at the same time.